This article was original published on VC Circle as a Guest Post by Uday Garg of Mandala Capital. See original article here. Indian Agriculture: Ripe for a Transformation? Indian agricultural growth and the related sectoral investment opportunities have always held a promise of greatness that has, until now, remained an elusive destiny. For the year that ended March 2018, agriculture GDP grew by 2.1% as compared to industry GDP and services GDP which grew by 4.4% and 8.3% respectively. Despite the relatively lower sector GDP growth, Agriculture still represented 16% of India’s latest annual GDP figures. Perhaps more than any other sector of the Indian economy, agriculture is inextricably tied to India’s long-term growth story. But where can the value in this opportunity be captured and cultivated? Historically, the complexity of investing in agriculture globally combined with the heightened political sensitivity of the sector in India has left the sector starved for innovation and investment, with participants eager for a more robust program of reforms and varied sources of investment. 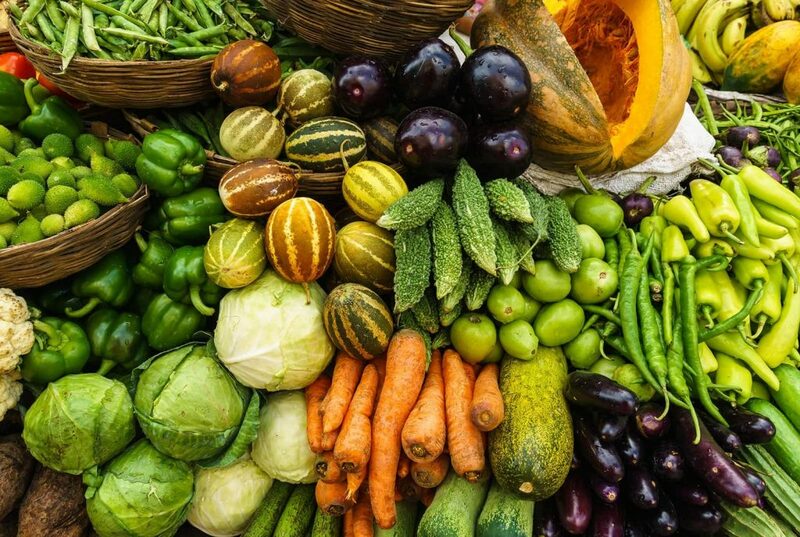 But we see several dynamics at play today which are inadvertently working in unison to create an environment and circumstances with the potential to awaken Indian Food and Agriculture from its slumber. More importantly, these dynamics are pushing the food value chain to evolve, modernize and innovate, the net result of which will be the emergence of several large scale national champions. India has typically had a small percentage of the total population that has followed consumption trends and trajectories similar to those in developed economies. Over time, technology and education have enabled the expansion of this demographic to include India’s middle and lower income consumer. The speed and adoption of this change has been significant. Coupled with the more well documented consumer food demand trends of protein consumption, lifestyle, and working parents, the net result is a consumer that is increasingly and consistently demanding more of everything: more food, more choice, more safety, more quality and an overall awareness of personal health, nutrition and environment. It could be argued that this dynamic has already evolved from being a trend to a fixture of consumer demand in the food and agriculture sector. Historically, government policies alone, especially those focused on agriculture, have not been able to reverberate across the sector to generate meaningful and substantial change. Ironically, the gap between government policy and real sector change has recently narrowed with the help of policies in non-agriculture areas that have created the right ingredients to develop higher quality companies across the food value chain. For example, GST, Ind-AS, NCLT and others have expedited the move from unorganized to organized across the food value chain and increased corporate governance, civic compliance and transparency across companies. Consumer focus on health and safety in food and the environment has resulted in stronger enforcement by the Pollution Control Board and the FSSAI. In addition, the wide open regulatory environment for online retail has created a competitive environment at such a large scale that this could finally be the push food retail and food logistics need to create large scale service providers. Small farm holding, low mechanization, poor technology and low yields have traditionally characterized farm level activities in India. These dynamics have tainted the perception of the overall sectoral investment opportunity. Several drivers are now pushing changes at the farm level and thwarting the inertia of the past. Labor shortages at farms are forcing technology adoption and mechanization. Climate change in the form of uncertainties around weather disruptions caused by floods, earthquakes, El Nino, La Nina, droughts and other weather patterns have further driven farmers towards technology adoption. Smarter fertilizer use and delivery systems, more efficient use of water, better quality seeds, soil conservation are now being readily adopted. Contract farming and closer partnerships with larger food processing companies will drive these changes faster and reduce inefficiencies across the value chain. What is the Role for Private Equity and Venture Capital? Deep sector knowledge is key to successfully investing in food and agri. The sector requires a unique core of deep industry knowledge and the ability to work closely with experts and promoters in the sector. Category leaders across the sector are typically multi-generational family businesses that require insight and trust from prospective investors. This will remain the key differentiator in the sector. When I formed Mandala Capital in 2008, no institutional private equity fund manager had exposure to the sector; today almost every major fund has one or two investments that would be classified as directly within this sector. This signifies the market’s recognition of the shifting tide of opportunity and growth in favor of the agricultural sector. It is a foregone conclusion that private equity and venture capital will continue to pursue investment opportunities in the sector. The main challenge alongside sector knowledge and relationships will be identifying the correct inflection point in the supply chain for structuring meaningful investments. India’s supply-demand gap is an opportunity that necessitates scale and innovation to meet immediate and long-term growth dynamics. Early stage venture capital investors may struggle to find scale for the innovations they are bringing to the market. Direct consumer facing investors may find growth from the consumer but will struggle with the risks accompanying the consumer and marketing spend associated with it. Farmland investors will be unable to invest in Indian farmland due to public policy and the nature of farmland holdings. So where does this leave a prospective investor? Businesses that reside in the supply chain either with respect to farmer inputs or delivery of products and services that are destined for the consumer through retailers or through FMCG companies are best poised for scale. These companies will necessarily need to build capacity for the sectoral opportunity and consumer demand drivers. Investments structured to allocate proceeds towards meaningful programs of capacity expansion in the supply chain will, in our view, unlock value for the consumer and investor at the critical inflection point of producing affordable and accessible food at scale and in tandem with demand. The three forces outlined above – consumer behavior, regulatory effects and farm level changes – will inevitably propel a switch from unorganized to organized. The growth curve will favor sector champions with size and scale. As these companies look to increase capacity, expand into new states within India, launch new products and strive for greater compliance, governance and transparency, there is a real opportunity for Private Equity investors to play a defining role in fuelling the trajectory of this story. Uday Garg is the founder of Mandala Capital and has since 2008 been exclusively focused on investments in the food value chain. Prior to Mandala Capital, he worked at Altima Partners focusing on private investments in global Emerging Markets across sectors (including agribusiness). 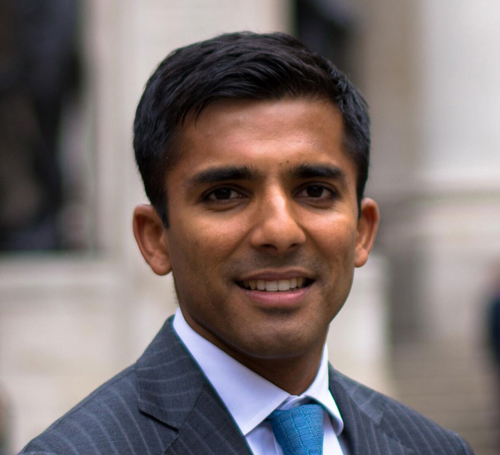 He began his career in the Investment Banking division of Deutsche Bank (New York), followed by Portfolio Manager roles at Amaranth Advisors (Connecticut) and Duet Group (London).